We are obsessed with the bride’s gown, but what about the groom? 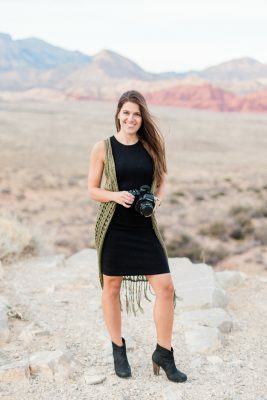 Now, I might be wrong but I’m pretty sure most grooms are not watching “Say Yes to the Tuxedo” or tearing out pages from The Knot or Pinteresting their favorite shoes, ties and vests. 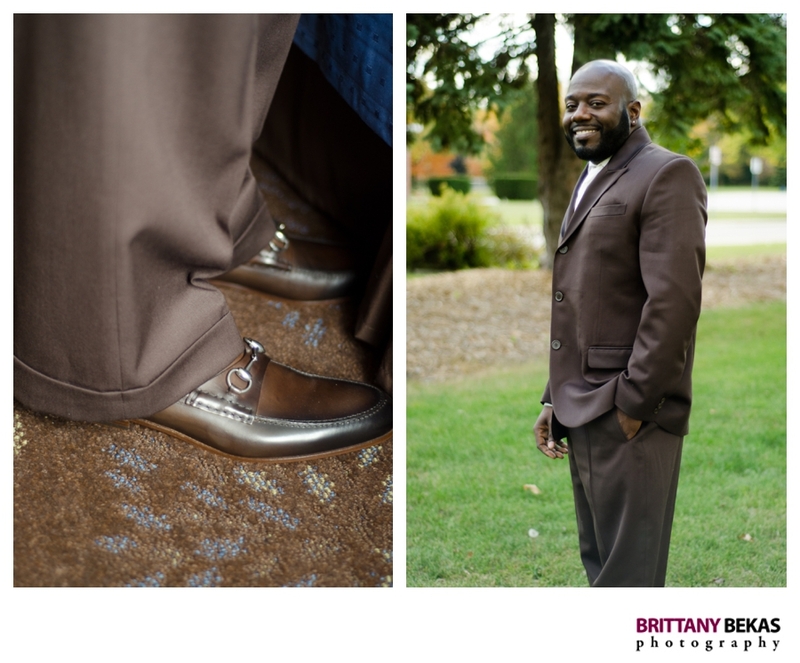 So, I thought I would share a little inspiration on what to wear from some of my 2012 grooms. These dapper guys wore everything from the traditional black tie tuxedo (complete with bow tie) to a beachier look of linen pants and boat shoes. 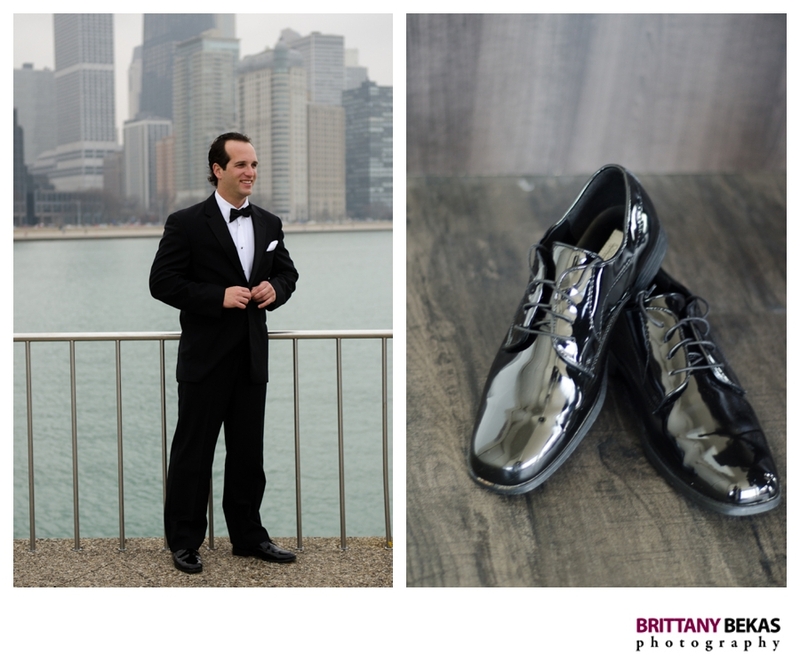 Elliot dressed in a traditional tux with a bow tie for his black tie Chicago wedding at the Whit. 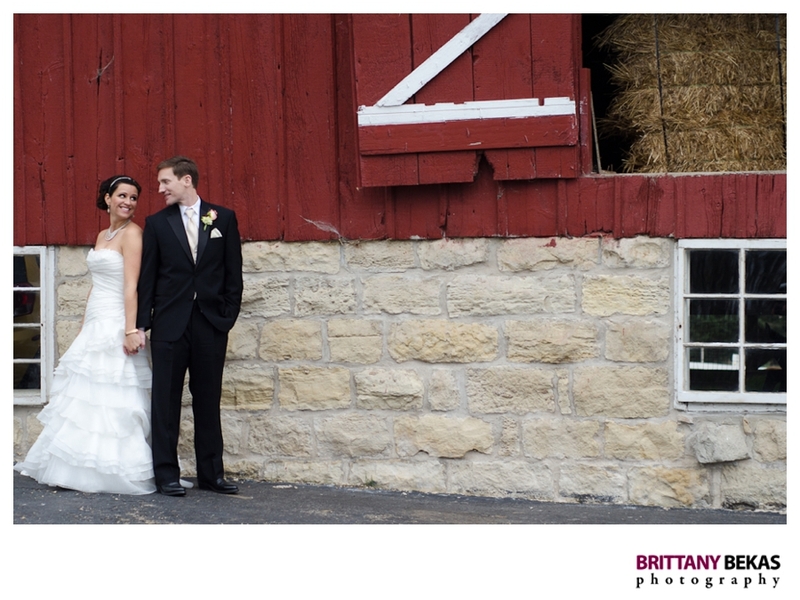 Chris’ rustic barn-inspired wedding was a little more casual and his look reflected this with a traditional white tie and black tuxedo. 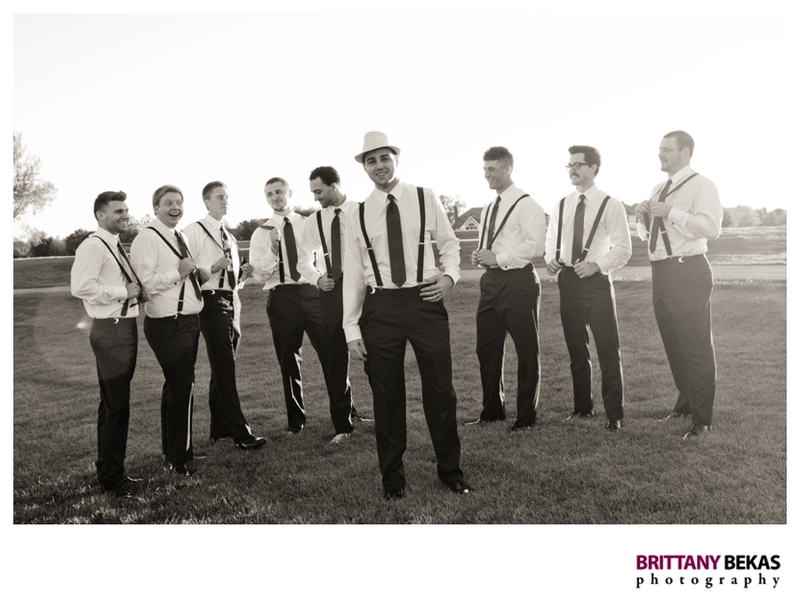 Nate and his groomsmen all sported suspenders under their tuxes … which I totally loved! 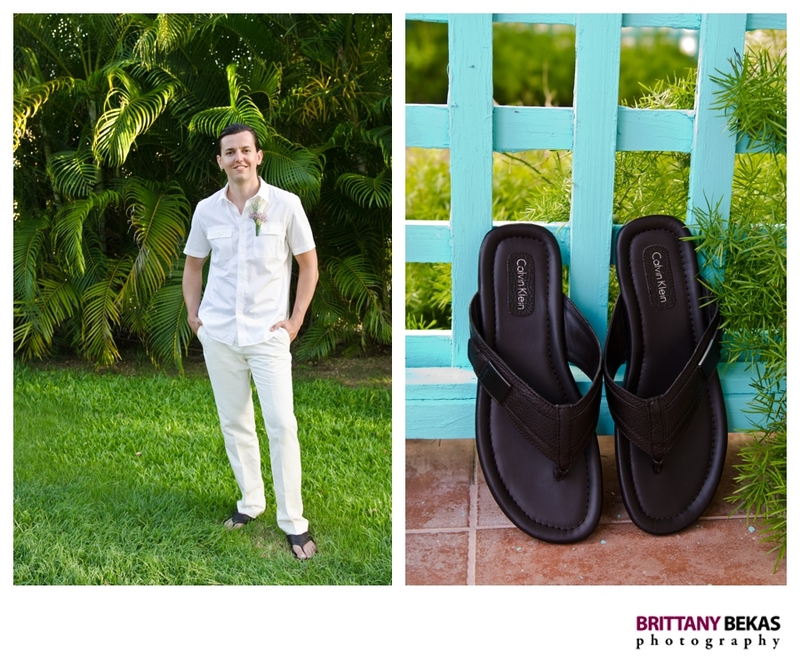 Deowane stood apart from all my grooms with his chocolate brown tux and gorgeous leather Gucci loafers. 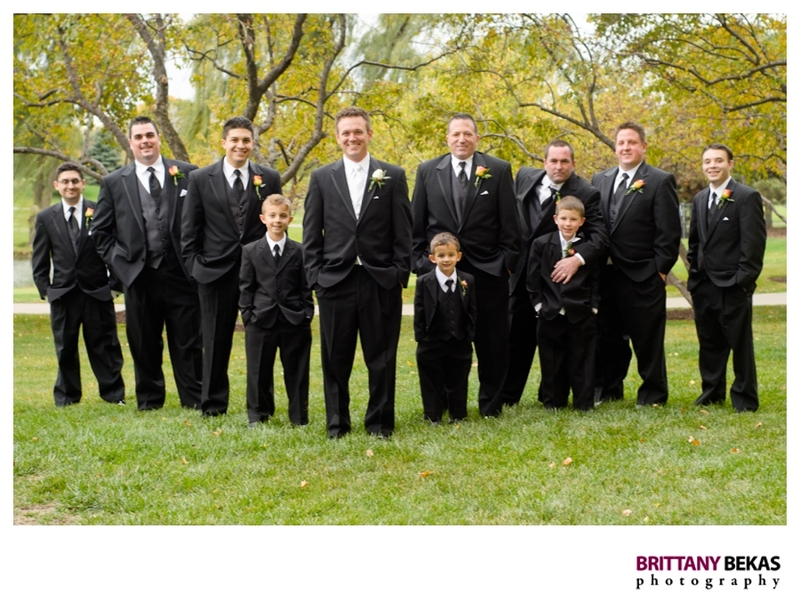 No matter what the groom opts to wear, I do think it is important for him to have a different look than his groomsmen. 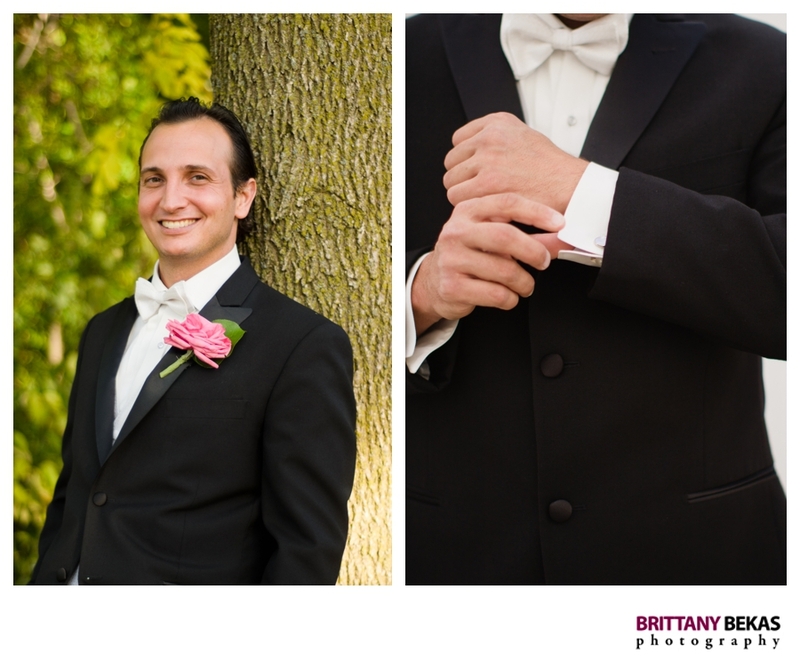 Nick chose to wear a different color vest and tie which set him apart from the other guys. A bow tie is a great option to give the groom an extra special feel to his look for the day. I mean how often does he rock a bow tie? For a more causal beach look, Ivan sported brown leather Calvin Klein flip flops, white linen pants and a white linen short sleeve shirt. 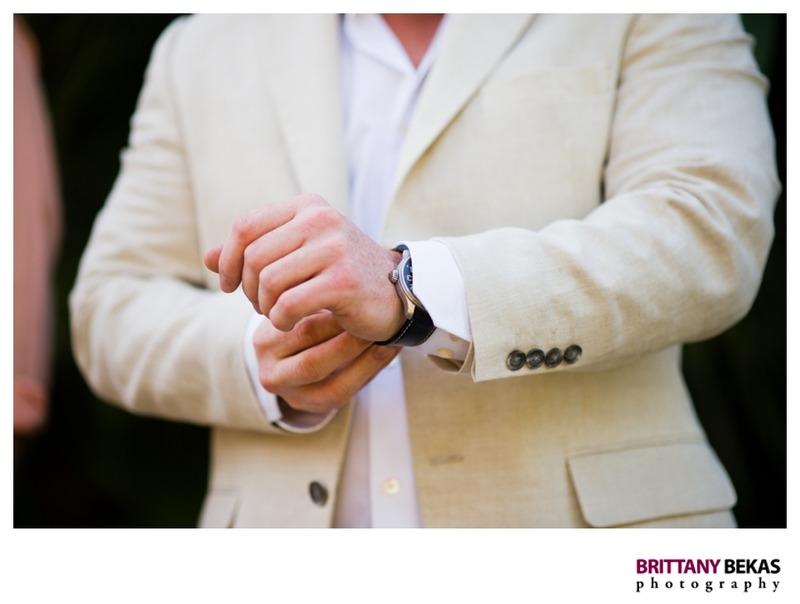 Adding a personal touch like a watch or family heirloom is just as important for the groom as it is for the bride … so try to make sure the groom has something special too. 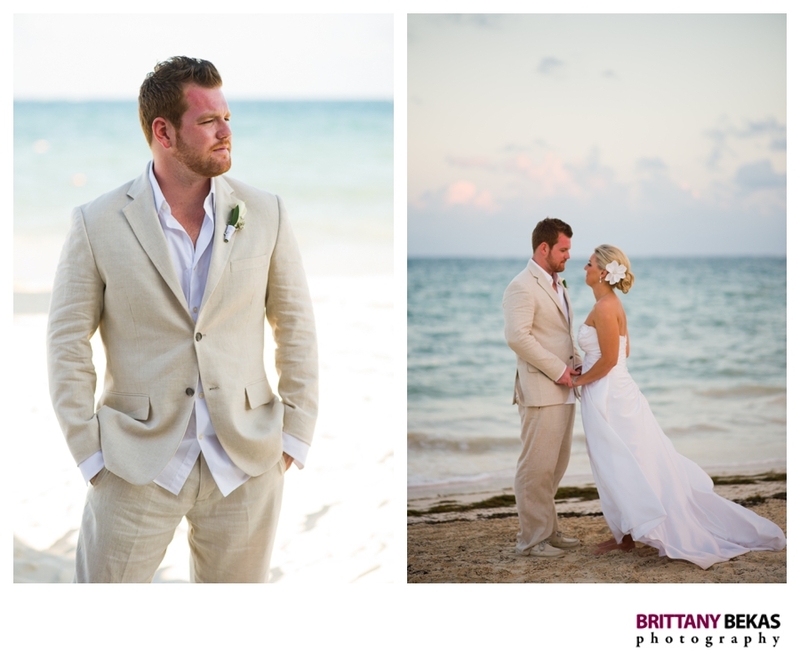 Jordan opted for a dressier look for his Riviera Mexico wedding with a beige linen suit and boat shoes. Hopefully these different looks for the groom will inspire you. Happy Wednesday!